Thank you for shopping Secondi online! The consigning and selling of authentic items is very important to us. For items with style anomalies, or with frequently counterfeited items (ex: Chanel quilted chain-handle purses) Secondi uses Entrupy© and AuthenticateFirst.com for reassurance. We also test all designer and couture items at the time of consignment for the proper markings, stitching, tags, authentication numbers, etc. Our evaluation team has years of experience and conducts thorough research. 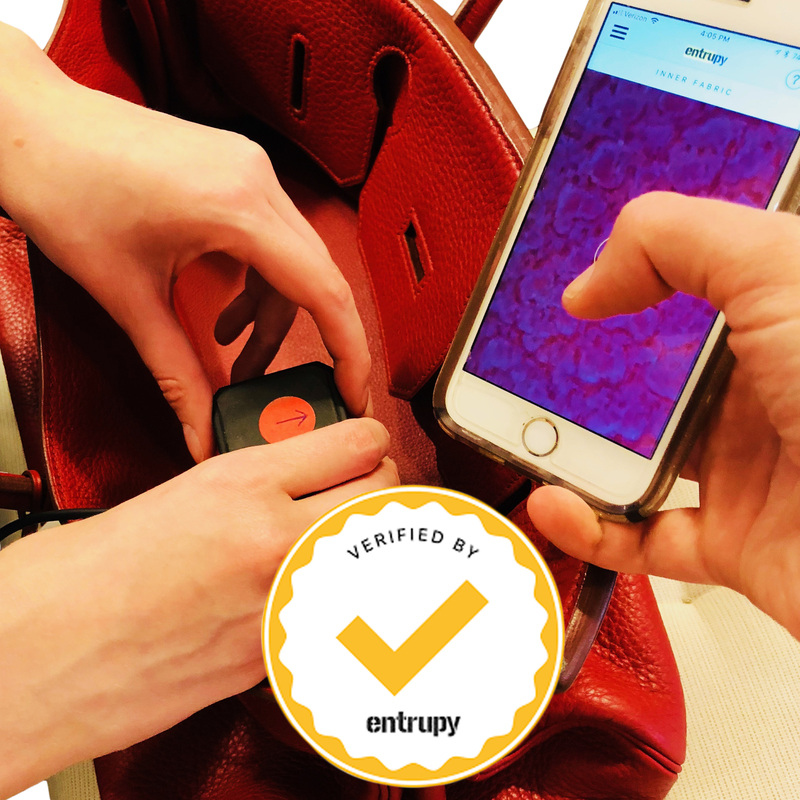 Secondi also uses Entrupy© authentication for verification. We not only process applicable items through this service when they are consigned, we also offer authentication services for customers for any applicable handbag, regardless of if it was purchased at Secondi or not. For more information, check out our Luxury Authentication program on our website Secondi.com. Although all sales at Secondi are final and no refunds or exchanges are given, if at any time one of our customers (online or in-store) discovers an item they purchased at Secondi to be inauthentic, an exception may be made in this circumstance. * Please give us a call at 202-667-1122 or contact us through the contact form on this site for more information. We want you to shop confidently at Secondi, as your trust and love of Secondi has kept us flourishing since 1986! *Refunds will be issued once the item has returned to the Secondi store and evaluation by AuthenticateFirst and/or Entrupy© has been completed. If the item is determined to be authentic by one or both of these services, no refund will be issued and the item will be returned to the customer.